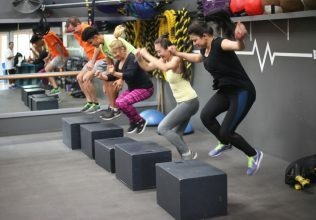 BodyTek Fitness Training Gym • Big Bear City - We are Big Bear's most diverse gym for all levels of fitness - from Easy Fit to Boot Camp classes. Or go on your own in the weight room, spin room or the upper aerobic room. 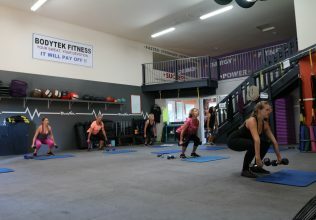 Open Gym with Weights & Machines ⋆ Private Training ⋆ Visitors Welcome! Jonni and Cory Robillard were born and raised in the Big Bear Valley and therefore have a heart for the community. 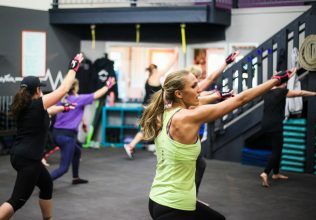 Certified by the International Fitness Association as a personal trainer and group exercise instructor, the gym environment allows each of them to fulfill their passion for fitness and their love for people. 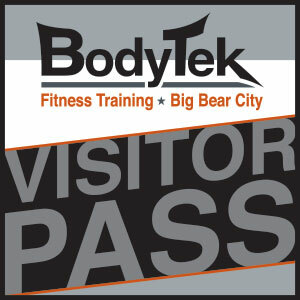 Bodytek is not like every other gym. Jonni and Cory strive to make it more like a family with a fun, motivating, and encouraging atmosphere. Ashley Yau received her Ashtanga teacher training in 2008 and has been teaching yoga and Zen meditation for the last eight years. Ashley credits her own joy and inner peace to a yoga lifestyle and her own practices of: Ashtanga, Chakra, Hatha, Vinyasa Flow, Yin, Restorative, Reiki, Angel Therapy and Meditation. Ashley seeks to help her students connect their body and spirit within restorative yoga classes designed to increase strength and flexibility while bringing a calm, and peacefulness to their mind. H.I.I.T. 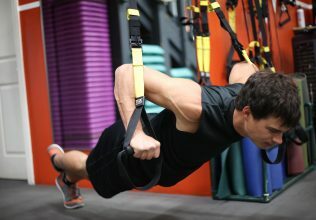 Core - A high intensity abs burnout class, combining abdominal, core, and cardio moves. A 40 minute, fast-paced, workout to help sculpt that six-pack. 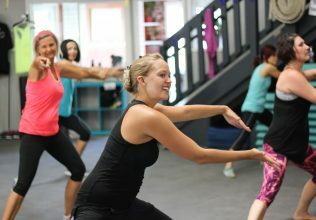 Casey is a certified Zumba Instructor and Nutritional Coach. With over 15 years of fitness experience including eight years as a physical therapy assistant she has a passion for helping others get active and healthy. 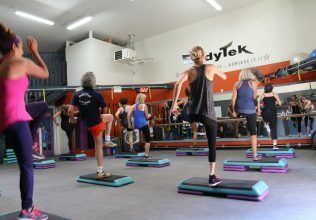 "I struggled with my health and weight for many years, but now I know that simply eating whole food and consistently taking classes that I enjoy (BodyTek has many to choose from) is the key to lasting health and fitness." Shannon began teaching Pilates in 2002 in Big Bear, where she was mentored under a local Stott Instructor and immediately fell in love with the workout and the results. After getting her associates degree she took a few months off and traveled Europe, backpacking over 13 countries, making amazing memories and coming home with a new perspective on life. After returning Shannon went to Long Beach and became trained in Stott Pilates mat, an intensive two month training, with at minimum of 6 months teaching and training hours. She then moved to Costa Mesa to attend Vanguard University and worked at South County Pilates. In 2009 Shannon went back to Long beach to become trained on the reformer and taught mat and reformer for several years in Orange County and loved it. 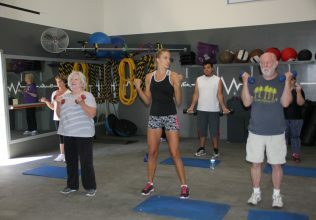 She then moved to Texas, where her husband was stationed, and taught Pilates for the city of Killeen Rec. Center. After her husband's contract with the Army ended they moved back to Big Bear where Shannon now enjoys the quieter life teaching Pilates at BodyTek and raising four babies.